USANA, word! : A Big Bonus for the USANA Health & Freedom Auckland Events! When we heard that Dr Libby Weaver was coming to give her presentation at the upcoming USANA Health & Freedom Auckland events, we were so excited! We were watching “Beating the Bulge” the other day – a program produced by the “Close Up” team of TVNZ, one of the leading TV networks in New Zealand, and it actually made us think she would be a great speaker for our event! And NOW, she is COMING! And she is speaking at BOTH the New Zealand Business and Health events! 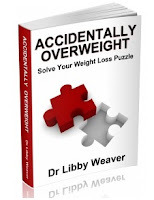 Just in case some people do not know who she is – Dr Libby Weaver (nee Ellis) (Ph.D) is one of Australasia’s leading nutrition specialists and weight-loss experts. Her enthusiasm for empowering people to make optimum health choices has led her to consult privately with individuals in the corporate health arena, as well as with universities and the media. She is the author of the recently released book, Accidently Overweight, and a sought after New Zealand health personality. Dr Libby will talk about how to maintain a healthy lifestyle and manage your weight by understanding your hormones at the USANA Health Event on 18th, and will share her business story and explain how you too can be successful in the health industry at the USANA Business Event on 19th. Now the countdown of the events begins, if you don’t want to miss Dr Libby’s wealth of knowledge, then bring YOUSELF and YOUR GUESTS as well as your QUESTIONS to the event!